South of Reid Park on December 16th, I rolled by a home with a sense of humor. The yard has a rusted or brown (I couldn't tell which) saguaro. In front of the yard is a rusted/brown fence. 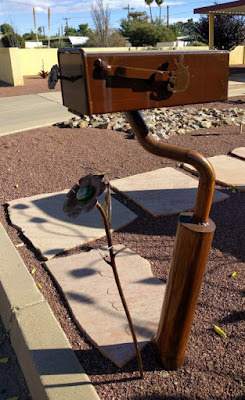 And along the street is this tilted brown-painted mailbox with a flower in front.